A few weeks ago, I caught myself slipping into the double standard pitfalls that I hated as a kid. I am ashamed to admit it. First of all, we were blessed with three boys before we welcomed Mini into our lives. That was the explanation I used when my mom would come to my house and ask why it was such a mess. I had 3 boys first and she had 3 girls first. There was no waiting around for Mini to unload or load the dishwasher. With three able-bodied boys ahead of her, the boys had to participate in the regular tasks at hand. They carried laundry upstairs, cleared places, washed the kitchen table, helped with the dishwasher, swept the floor, etc. (this is when they were really young, the chores became more age appropriate as they got older). I never considered letting the boys off the hook a few years later just because Mini was finally ready to pitch in. They still were expected to do things. I had a job chart when the kids were a bit older and the jobs rotated. They emptied bathroom garbage, stripped beds, sharpened pencils for homework, dusted the family room, Windex-ed the sliding doors, swept, unloaded the dishwasher, washed counter-tops, sorted laundry, dust mopped the stairs, vacuumed, etc. Now that Mini is in high school, I admit that my expectations have shifted. Slightly. A few occurrences cropped up recently that left me dumbfounded and frustrated. Getting ready to whip up batch #2. Mini invited friends over the the Superbowl. I told her she could help make the 7 layer taco dip. I have made the same dip for the boys when their friends have come over, and I don't think that I required them to help make the dip. (although, I have made them help chop the vegetables for the dip in the past - I cannot say if it was necessarily when their friends were coming over or when I was making the dip for a family party). Note: Mini enjoys helping prepare food, particularly baking, so this wasn't a punishment so much as it was - hey, pitch in. or would you prefer a softer variety? I asked her to open a can of refried beans, and she could not work the handheld can opener. There were brothers standing around to witness this embarrassing moment, so that sucked. She shoved the can in Eddie's direction. 'I bet you cannot open it.' Ed opened the can in 10 seconds. Ouch. 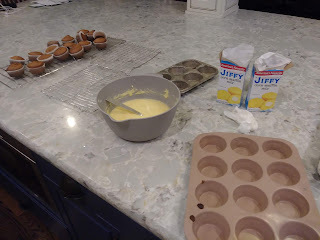 Before the girls arrived, I told Mini that she could make the corn muffins from a box. Not an involved process. I was Hell bent on getting some writing done that day, so I returned to the study. 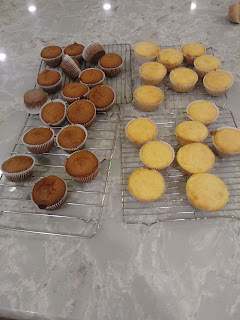 When her friends started arriving, I jumped in and make the muffins myself because she forgot. When North still identified as a girl, I used to wonder if I was imposing a double standard by giving them more chores than their brother had at the same age. The reason is that he's been in demanding academic magnet programs since 4th grade and has a lot of homework, while North has very little (and North is also more likely to over-use screens if they have too much free time). But it bugged me the way things had turned out. I question myself and/or catch myself and then I think - oh, don't do this! They should all help the same. Because Tank has some executive functioning (some?! - ha) issues, he cannot be relied on to do much around the house. She was born 16 months after him, so I wonder sometimes if she does less because she sees that he does less. Ugh!